Chocolate cookies that have been rolled and cut using all sorts of cookie cutters always seem extra special to me. If they've been decorated with icing and sanding sugars, I find them to be even better. It's no mystery that this type of refrigerator cookie dough is among my favorite to bake for special occasions or whenever I have the need for a superbly delicious cookie that's perfectly shaped. If I'm creating an assortment of cookies to gift to someone, there has to be some form of chocolate cookie in the care package. I'm so pleased to be able to share with you my very own version of this classic cookie which I've developed after several trial runs. The wholesome ingredients of eggs, butter, sugar and the darkest cocoa powder, can all be found in this tasty dough of mine; a combination of pure vanilla and almond extracts round out the chocolate flavor. The proportions of ingredients in the recipe make an exquisite cookie that is utterly delicious, as well as easy to work with. Simple to put together, a dream to roll out and cut, perfectly shaped when they come out of the oven and tender as can be, are just some of the virtues of my chocolate cookie dough. You're going to want to make them for a holiday or special celebration, but you're also going to be tempted to make them just to fill the cookie jar. Note: in the picture above I'm using half stick butter portions, hence the 4 little bars. It's a total of 2 sticks. In a large mixing bowl, add the all purpose flour & fine sea salt. Sift the dutch-process cocoa powder into the bowl to remove any lumps. Push the lumps through the sieve if there are any. Whisk your dry ingredients to combine thoroughly. In the bowl of your stand mixer fitted with the paddle attachment, cream the butter for 30 seconds to 1 minute, just until it's creamy and malleable. Stop the machine and scrape down the bowl and paddle. Add the sugar on medium speed and cream the mixture until everything is creamy and completely combined; this should take about 3 minutes or so. You don't really want to cream this mixture until light and fluffy because you'll incorporate too much air into the finished product. Stop and scrape down the bowl and paddle at least once during this process. Add the egg and mix on medium speed until it is emulsified and combined into the sugar/butter mixture, about 1 minute. Stop the machine and scrape down the bowl and paddle. To save you trouble and a bit of mess, add the entire bowl of dry ingredients into the bowl of your stand mixer and drape the machine with a kitchen towel or plastic wrap. This will prevent flour and cocoa from flying out of the mixer (cocoa is very powdery and light--it will want to fly out!). Turn the mixer on low speed and combine the dough until it is completely mixed. You don't want to see specks of flour or bits of butter whatsoever. Divide the dough in half and form into two disks on double-width plastic wrap (overlap two pieces of plastic wrap to create this). Flatten them and make sure the doughs are smooth. Now they must chill for at least 1-2 hours in the refrigerator. Note: the cookie dough can be kept in the refrigerator for up to 24 hours or can be frozen for up to one month. If you're going to freeze it, place these wrapped disks inside zip top freezer bags, removing all air, and lay them flat in the freezer. Thaw overnight in the refrigerator. On a lightly floured board or countertop, place the dough with the piece of plastic wrap over it and roll it out to 1/4" in thickness. If you want a refresher course on my technique for rolling out these types of cookie doughs, click "here". Cut out your cookie shapes starting from the outside and work your way toward the middle. Try to keep the shapes as close together as possible to maximize your dough. Any leftover scraps can be gathered and rerolled a second time. Place the cutout shapes onto your prepared sheets giving them 1-2" of space in between (you should be able to fit 12 four-inch cookies per sheet) and chill for 15 minutes in the refrigerator. Continue rolling out and cutting the remaining dough, and any scraps you accumulate. If there is any flour left on top of the shapes from cutting them out, use a clean pastry brush to wipe it away before baking. and bake for : 10-12 minutes. When fully baked, the cookies should feel firm to the touch and should smell entirely of chocolate. Don't let them over bake! Let the cookies sit on the baking sheets for about 2 minutes to firm up. Gently remove them with a spatula onto racks and let them cool completely. The cookies will keep for up to 5 days stored in an airtight container. These are ready to be decorated. Stay tuned! Don't my chocolate cookies look positively delicious? 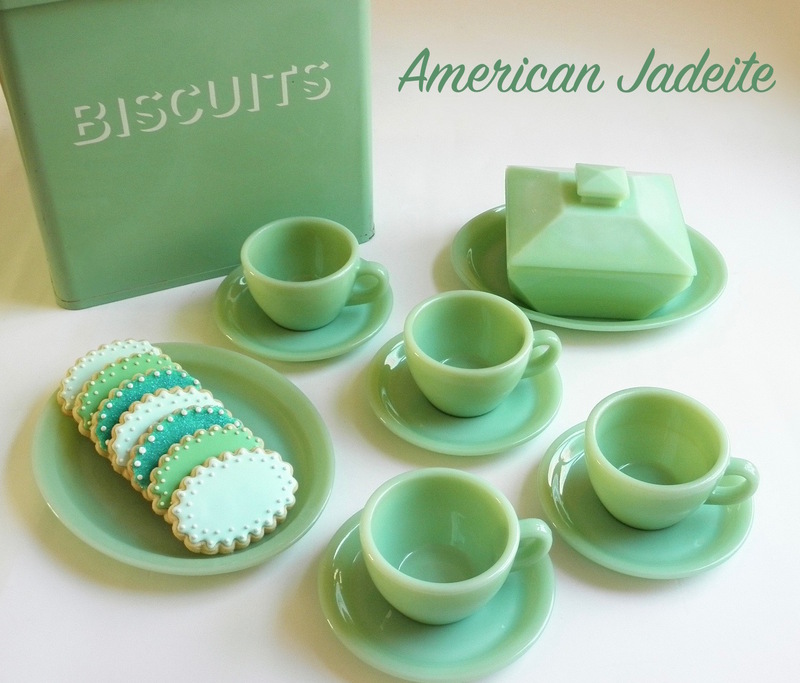 Firm and sturdy enough to handle & decorate any number of ways, the cookies remain wonderfully soft when you bite into them. 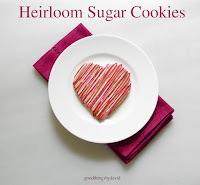 Make one batch and use round cutters, square cutters, hearts, ovals, stars or whatever shapes you want, but make sure you have extra cookie ingredients on hand. I think you may be tempted to make another batch as soon as these are done. Collectible Martha by Mail cookie cutters I've featured here are perfect for my refrigerator cookie dough. Figure out how you want to decorate them and lastly, figure out whom you want to gift these to. The lucky recipient is going to adore them! I can almost smell the chocolate coming through the computer. WANT SOME! My eyes almost rolled back in my head with the thought of those lovely things baking! It's so hard to get that perfect recipe and I think this is it! 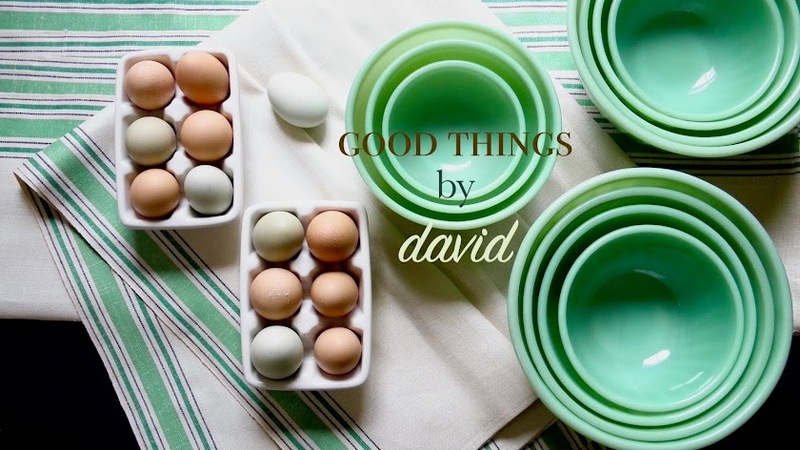 Thanks, David; I'm sure my family will LOVE these. @Carl: these cookies are chocolaty! @Tasha: although Martha by Mail is no longer around, you can still find items on EBAY (check to see if they do international shipping). @Nancy: You absolutely have to make them for your family, I think they're going to be pleased! I am going to try these today. They look out of this world good. Thank you for a lovely recipe and beautiful pictures. Martha, I hope you do try them and like them. They're great plain, but they're also wonderful iced or sugared! I had a lot of fun reading this post. Excited to give your techniques a go! Excellent! You really should try this recipe because it not only tastes really good, but it's also very simple. Dutch-process cocoa is cocoa powder that has been alkalinized in order to neutralize its natural acidity. This makes for a much darker cookie, cake or desserts. Specialty baking shops and most supermarkets carry it. Regular cocoa, such as Hershey's is not alkali-treated, therefore it is much lighter in color and is more acidic. In most recipes, if you're using "regular"/"natural" cocoa powder, you must use baking soda in order to neutralize it. I have used Hershey's "special dark cocoa" before and it's not all that bad. I think it's part dutch-process and part regular. You can substitute this version of Hershey's cocoa in my choc cookie recipe with success!